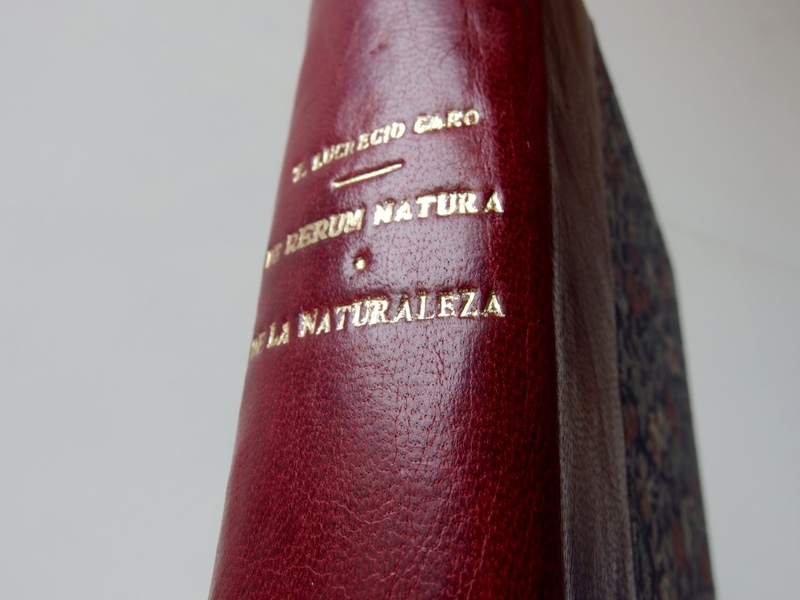 A new half-leather binding of the great opus of Titus Lucretius Carus, edited in Spanish by “Acantilado” in 2012. 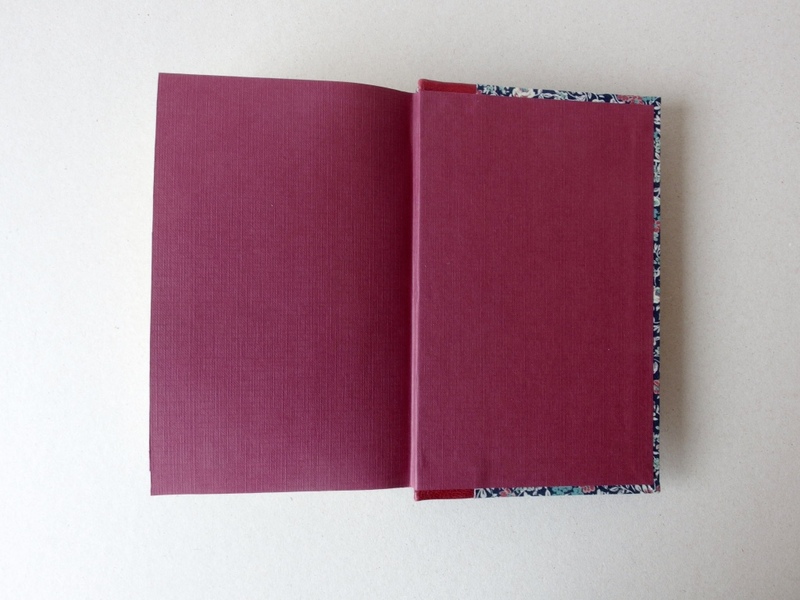 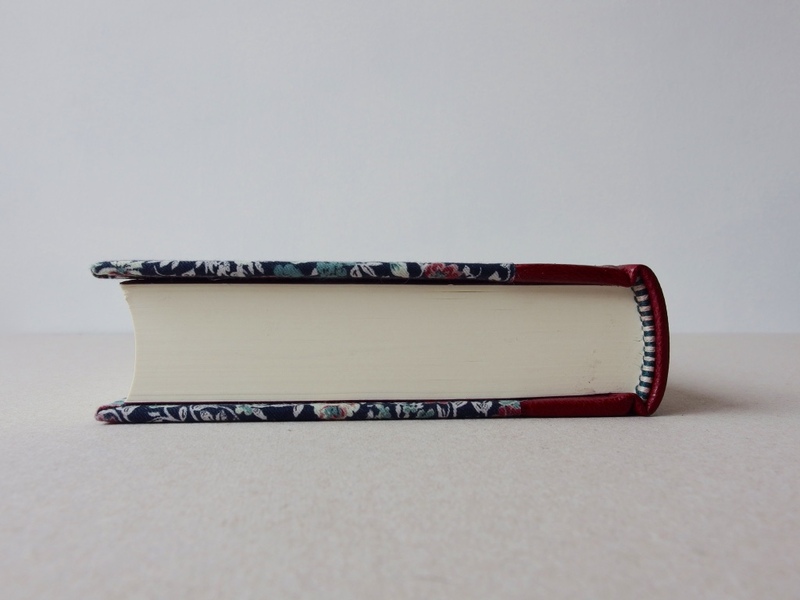 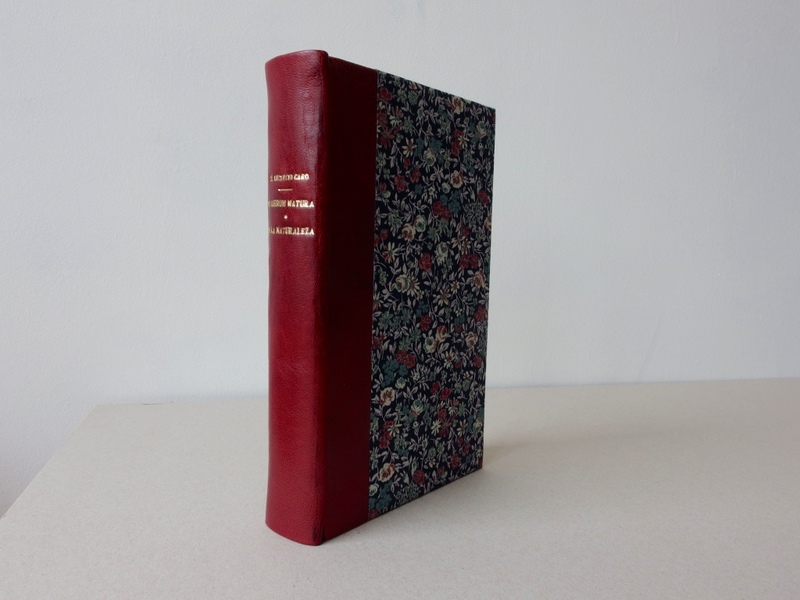 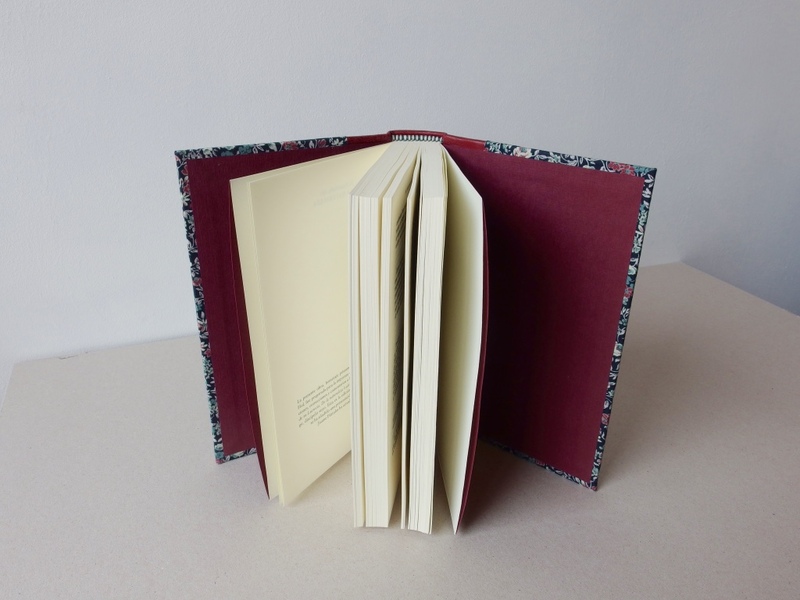 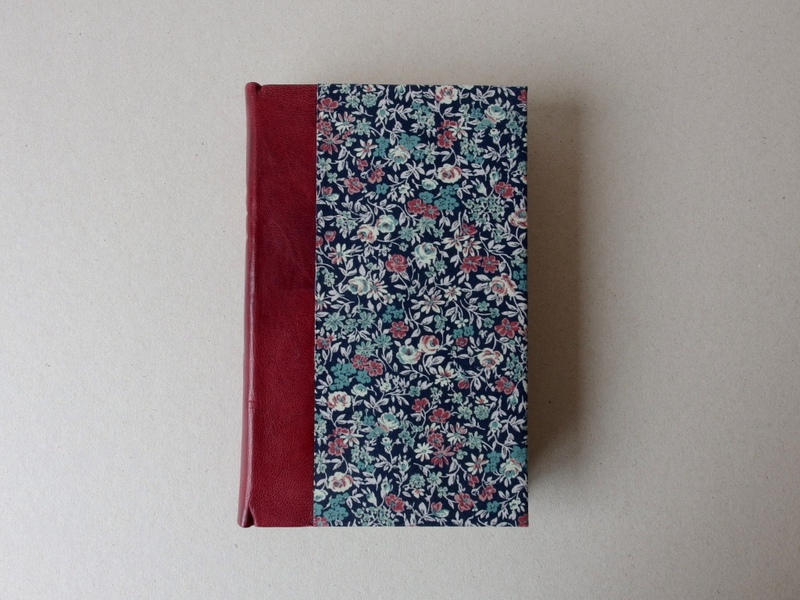 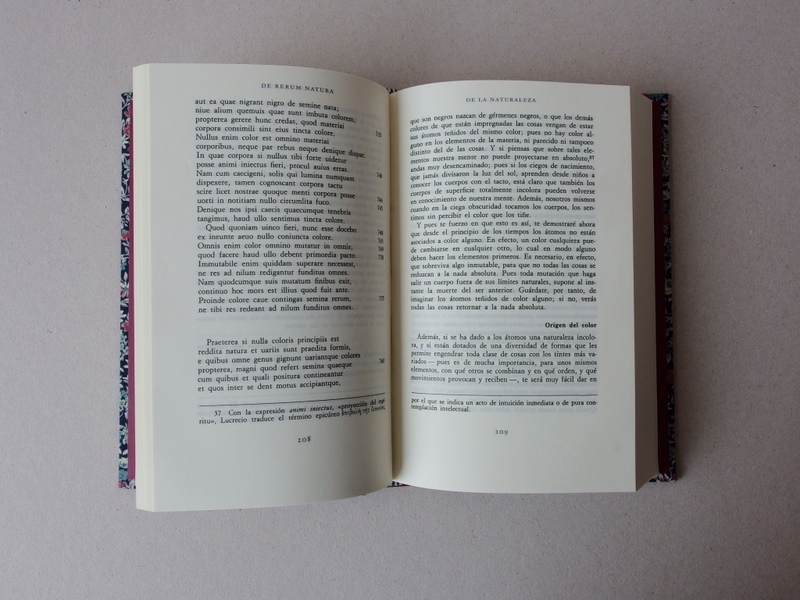 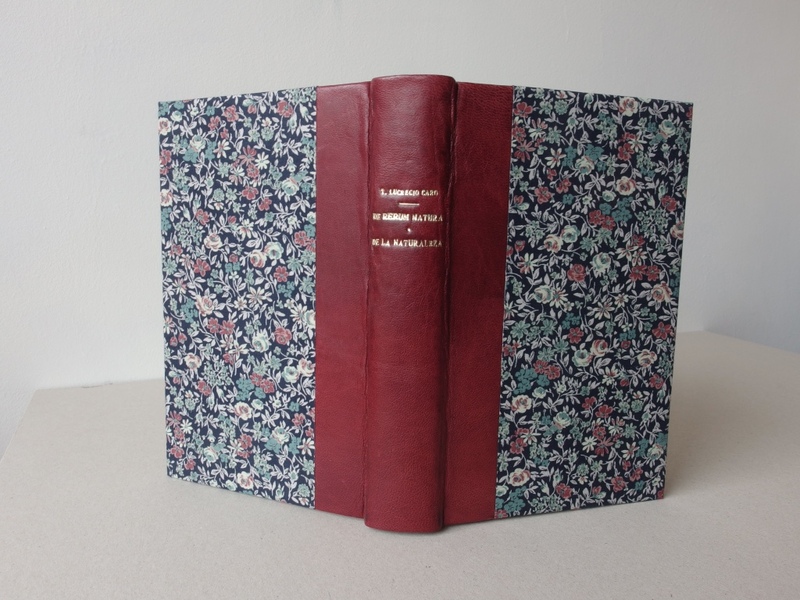 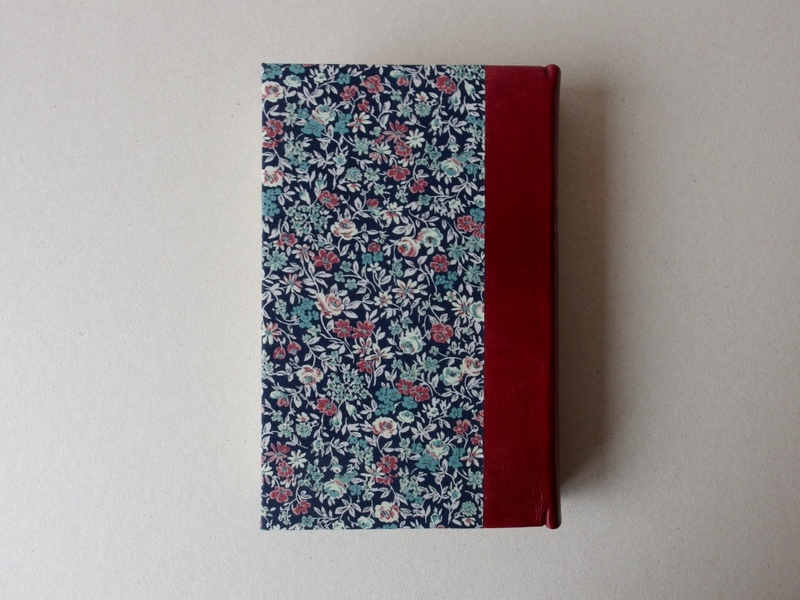 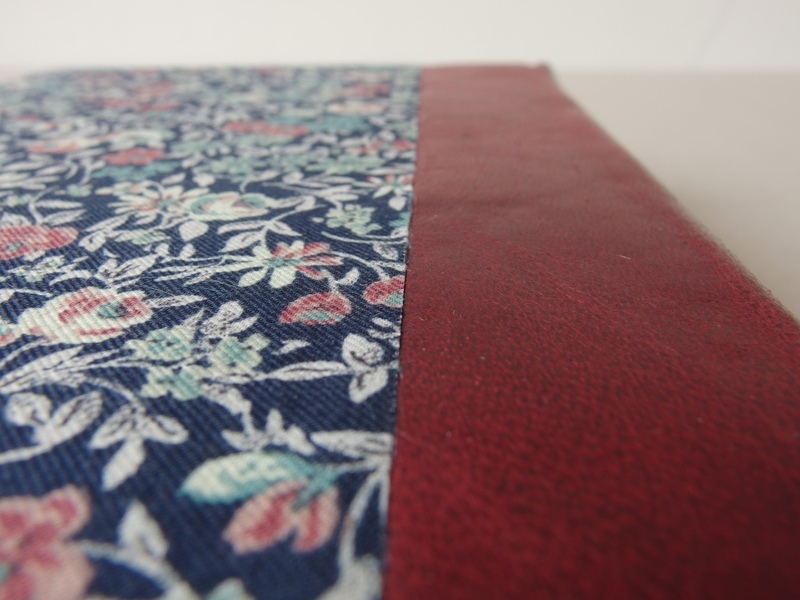 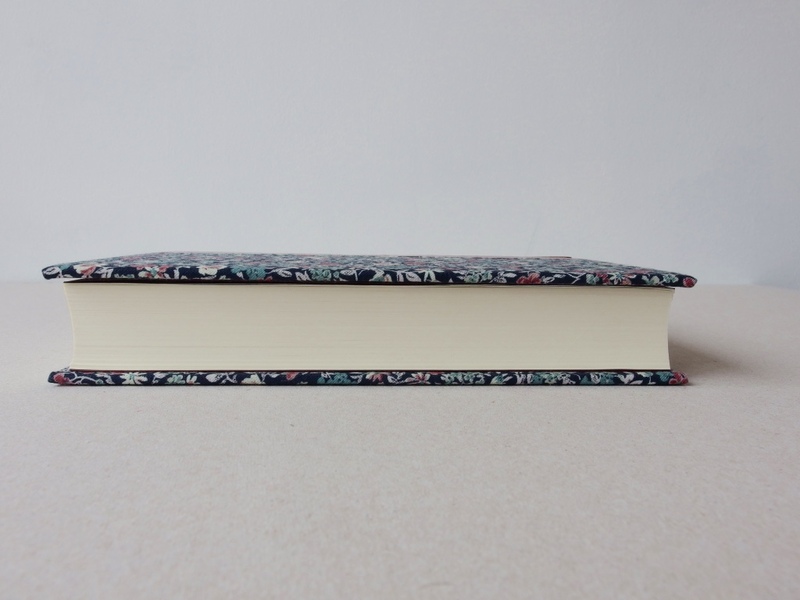 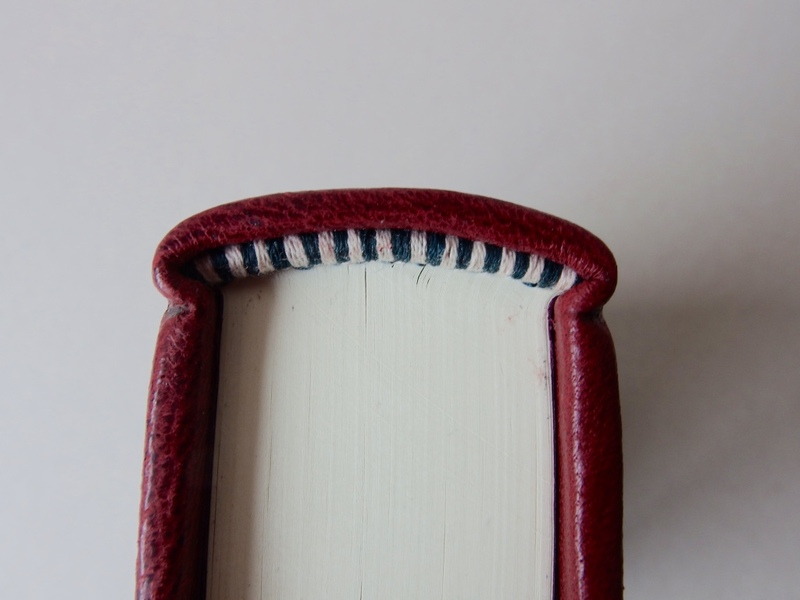 The binding was made with the guidance of Georgina Aspa Vendrell. 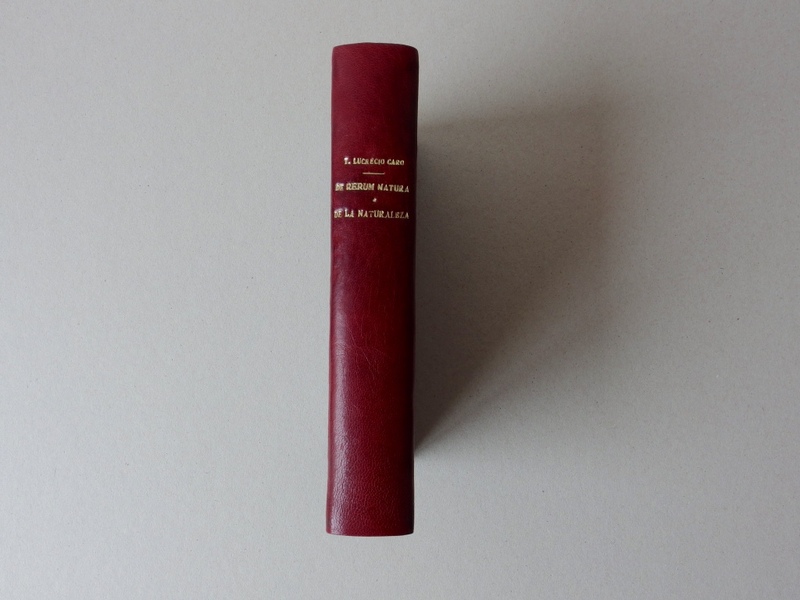 Red sheep leather, viscose, guilding. 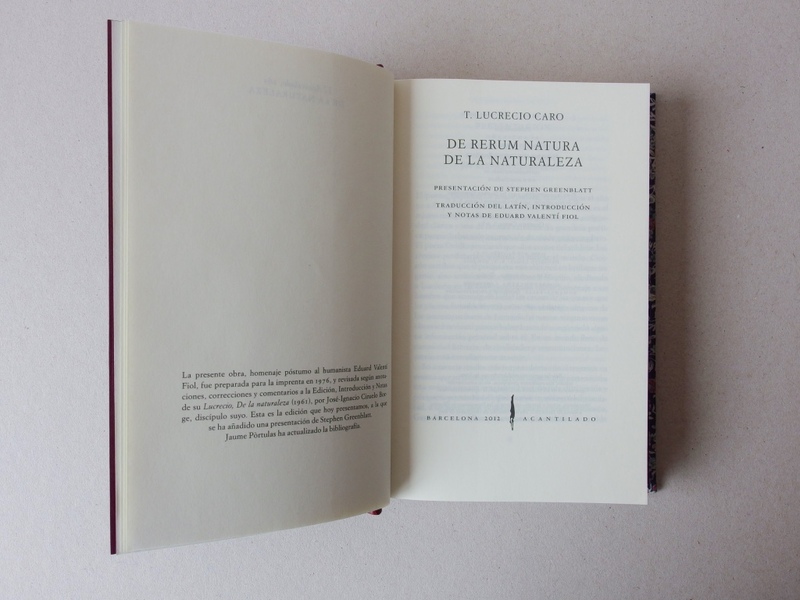 You might also want to see one of those manuscript copies that helped to pass on this beautiful poem to our days, the sixth book of De Rerum Natura, archived and digitized by Universitätsbibliothek in Basel.